details. Partmate makes the process of inventorying new vehicles quicker, easier, and simpler than ever before. 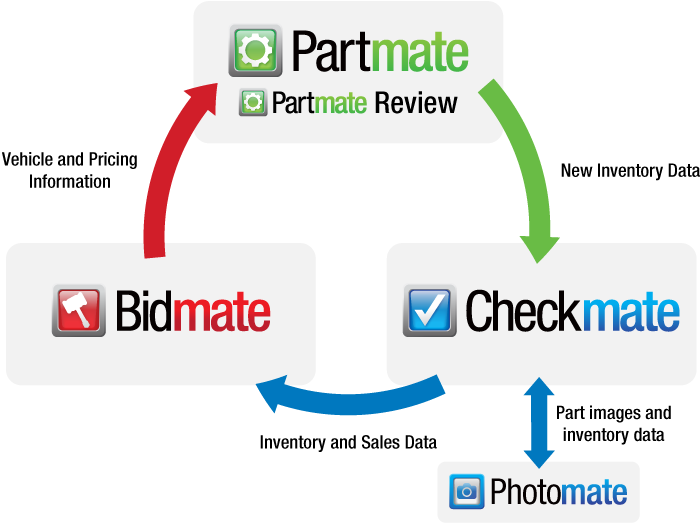 Partmate gives you a direct connection to Checkmate and other valuable Car-Part.com products such as Bidmate, the industry's premier bidding tool. One of Partmate's biggest strengths is its portability. It can be installed on an office laptop, or you can carry it with you on a tablet. This tool gives you the opportunity to stand outside next to a vehicle as you inspect and inventory each part - helping to ensure that the information you enter is accurate. Partmate offers a user-friendly design, with all of your work taking place across a simple layout. The Main tab is the first screen you see when you open Partmate. Here, you can begin the inventory process. To start inventorying a vehicle, click on the Inventory Vehicles button. Once you click the Inventory Vehicles button, the Vehicles tab opens. Here, you can add vehicles you wish to inventory. Bidmate users have a key advantage in this process. 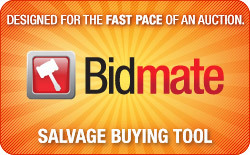 After you win a vehicle at an auction, Bidmate automatically sends vehicle and pricing information to Partmate and includes these vehicles in your list. This tab also gives you the opportunity to include more detailed information about the vehicle such as the stock number, location, primary and secondary damage, and other AUT information. After entering vehicle information on the Vehicles tab, you can enter attributes on the Options tab. The attributes you enter here will automatically be entered in the part descriptions during the inventory process, saving you time with each vehicle you inventory. For example, if you identify the color of the vehicle as RED EXT, then every sheet metal body part will automatically have "RED EXT" included in the part description. When you finish entering attributes on the Options tab, use the Parts tab to inventory the parts you want to send to Checkmate. If you added vehicles using a VIN, Car-Part.com's exclusive SmartVin technology will determine many of the interchange numbers automatically. As you work, Smart Interchange learns about your vehicle and reduces the number of interchange choices for the other parts, so it's faster and more accurate. This tab simplifies inventory decisions with requests, sales, and quantity on hand information all on one screen. Partmate also simplifies the way you grade parts and assign damage codes. Mechanical parts are graded automatically in Partmate based on the year and mileage, and body parts are easily graded with our point-and-click ARA graphics. Tap on the location, type, and amount of damage. Partmate uses the information you provide and assigns an ARA damage code. Based on your configuration, Partmate automatically adjusts the price of the part after you describe its condition. (At any time, you can still change the price manually.) Partmate lets you update your Price Book information, so you can price parts quickly without having to leave Partmate. When you need help pricing parts, Partmate gives you one-click access to Trading Partners so you can see how recyclers are pricing similar parts in your area, and one-click access to CrashLink to view current OEM pricing. With Partmate Imaging, you can take photos with a tablet while you inventory parts. These photos will be sent to Checkmate Imaging, where they can then be uploaded to online part listings on Car-Part Pro, Car-Part.com, Trading Partners, your own website, and eBay. Customers need detailed information as they make their buying decisions, and integrating images into your inventory and online listings is a great compliment to the ARA part grade information you use already. 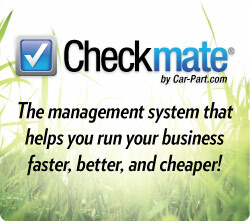 The Primary image you set in Partmate will be the image displayed in Checkmate and in online part listings. Don't worry, this tool puts you in control of what your customers see. If you don't want an image to be made public, set it as Private in Partmate. It will still be sent to Checkmate, but it will not be shown in online listings. If questions come up while inventorying, your employee can send parts to Partmate Review*, where they can be reviewed by a manager. While using this feature, a manager can add, edit, or delete parts instantly in addition to adding detailed notes to each part. This feature lets you decide whether or not the parts you "flag" for review can be seen on the Find and Sell screen of Checkmate. Partmate Review is one more way in which Partmate helps you keep track of the new inventory in your yard. To access this feature, click on the Review Vehicles button on the Main tab. Advanced Partmate subscribers also have exclusive access to Photomate, the mobile app that makes taking photos of parts easier and more efficient than ever before. If you don't have the opportunity to take photos while you are inventorying in Partmate, don't worry! 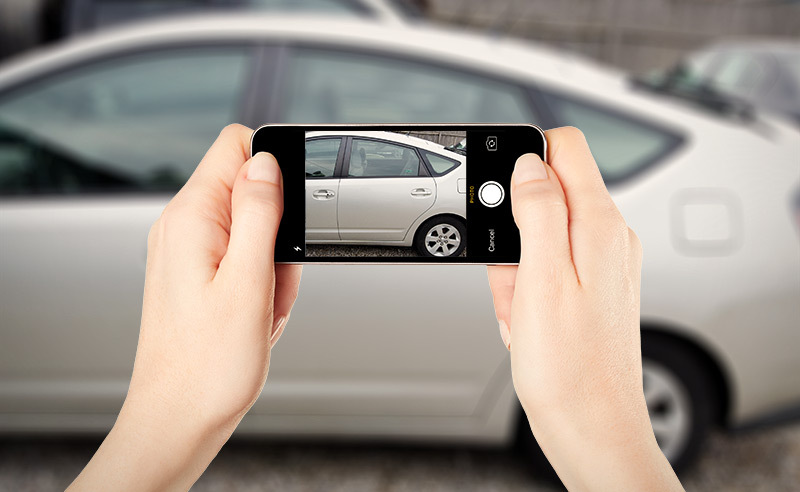 Once this vehicle is available in Checkmate, it can easily be assigned to Photomate. Your team can then use Photomate to take photos of parts with their smartphones and tablets, and immediately update Checkmate. 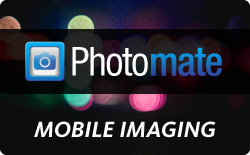 Learn more in the Photomate section of this site. From the Main tab, you can customize your settings so that Partmate makes your business even more efficient. Expedite the inventory process by creating and customizing part lists for parts you inventory often. Configure your Recycler Options to display dismantling times, so you can see how profitable it will be to dismantle a vehicle for a part. At any time, you can export these settings to your other Partmate computers, allowing you to use this tool efficiently no matter where you are logging in from. SmartVin and Smart Interchange speed up the inventory process. If you enter a vehicle into Partmate using the VIN, SmartVin will determine many of the interchange numbers automatically. And Smart Interchange will reduce interchange choices as it learns more about the vehicle. Car-Part Interchange Plus* provides accurate interchange information for parts that did not previously have interchange available. 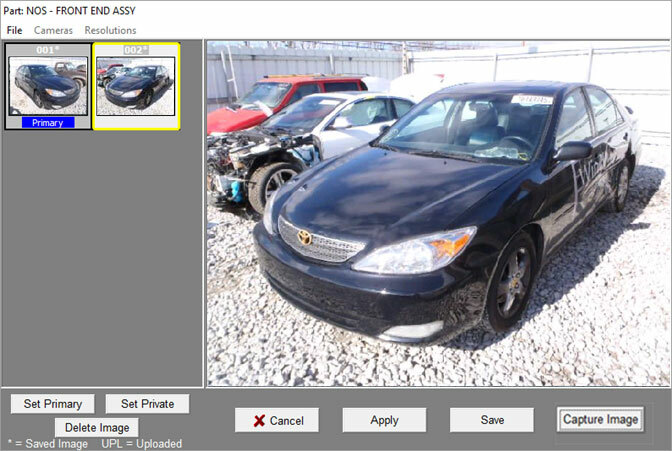 After you win a vehicle at an auction, Bidmate automatically sends vehicle and pricing information to Partmate so that you can start inventorying the vehicle as soon as you purchase it. After you inventory a vehicle, you can export that information to Checkmate. Partmate has proven itself to be an invaluable tool to recyclers with its simple layout, intuitive features, and easy portability. It's a time-saver that makes the inventory process much more efficient. If you want to learn more about how Partmate can help your business, call your Partmate sales rep or contact our main office at 859-344-1925. *This product/feature is not included in Partmate, but must be subscribed to separately. Contact your salesperson to learn more.